Geotrichum is a common fungus found worldwide. It grows on fruits, milk products, cereals, soil, air and plants. Geotrichum is also considered a normal part of human flora. 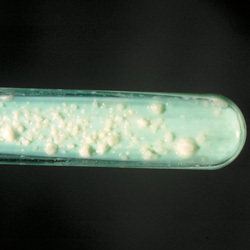 Geotrichum colonies are white, flat and have a powdery or waxy texture. Geotrichum has a rapid growth rate, and its dry spores disperse easily through the air, making them easy to inhale. 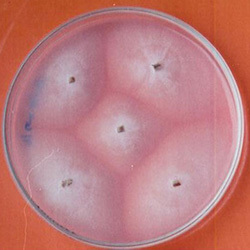 Geotrichum mold, is referred to as Geotrichum candidum scientifically. This is a kind of fungus that is present in the microbiome of human beings. In humans, this fungus is mostly associated with the skin, feces and sputum. The fungus occurs in about 30% of all the specimens. Some of the outstanding features of this mold include the presence of hyphae and the fact that they appear to be creeping. It mostly occurs in colonies that appear thin, creamy and white, soft and spreading. What are known Geotrichum species? There are 100+ species of Geotrichum in the world. The species that is very common clinically is the Saprochaeta capitata which has been common in Europe. Saprochaeta clavata on the other had is a species of the Geotrichum that is not very common, but often manifested in sporadic outbreaks. Geotrichum candidium has been closely linked with the Saprochaeta species. In most cases, it is isolated but it may lead to disseminated and invasive diseases with high mortality. Where can Geotrichum be found? This fungus is very easily available in all the parts of the world. It can be found in the soil, in the water and even in the air. In addition to that, this mold can also be found in plants, dairy products and even in the digestive tract of human beings. Where can you find Geotrichum mold in the house? Geotrichum mold is not a common household name to many people. This is a good thing because this type of mold can be very difficult to remove. As stated above, the mold appears white to cream in color and it is soft and easily spreading. This mold can attack your home irrespective of the location and weather conditions. Once there is a moist area in your home or garage, the mold can grow very well. If it is not checked and controlled immediately, it will mature and release spores. These spores will then move through the air and establish another colony in the house and the cycle will continue until your space is fully covered with the mold. This mold is very dangerous and destructive once it gets to the home. 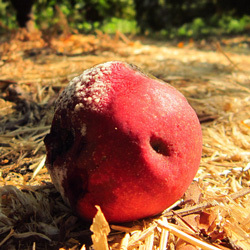 In addition to causing health problems, it can also cause a lot of damage to your property. Getting rid of fully festered Geotrichum mold is more difficult than removing small colonies of the mold. It is therefore important to ensure you constantly look out for mold in the moist areas of your house. What are Geotrichum mold health effects? Geotrichum mold has been closely linked with several respiratory diseases and disorders. Some of these diseases include tuberculosis and other pulmonary infections. Human beings can get these infections from constant inhalation of the Geotrichum spores. 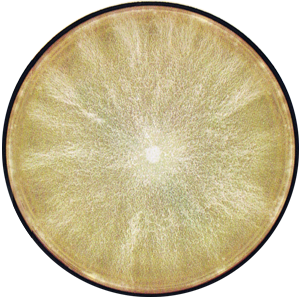 Human beings of all ages are susceptible to the diseases caused by inhaling the spores of the Geotrichum mold. In most cases, babies and elderly people are the most affected especially if the mold is not detected early enough. Affected people may also begin to experience headaches that do not go away even after taking aspirin medications. Itchiness in the eyes, vertigo and fatigue are also some of the other health effects of having the mold in your house. People living in the house that is infected with the mold may also starts experiencing symptoms of allergy and common cold. This is one of the effects of coming into contact with the spores that are in the air. When these spores are breathed into the body, then false signs of allergies and common cold can be manifested. In addition to the health related issues, the Geotrichum mold is also destructive to property. This is because as it spreads, it eats the wood, drywall and insulation systems of your house. How to get rid of Geotrichum – DIY? If the infestation is minor, then you can remove the Geotrichum mold by yourself. However, ensure that the house is thoroughly inspected later to confirm whether you removed all the mold or not. Coveralls to cover your body from head to toe. Mold safety mask that can filter out most of the mold spores. You can use baking soda and vinegar or tea tree oil to remove the Geotrichum mold at home. The first step is to mix one teaspoon of the tea tree oil with one cup of water and shake thoroughly. Then spray the mixture on the area infested with the mold and then wipe with a clean cloth. You can apply the mixture on surfaces as a preventive measure too. You can dilute the vinegar with some lemon juice if the scent is too strong for you. After that, mix them together and form a paste and apply on the areas of the house that are infected. It is also safe to use on pets and utensils. Geotrichum mold is one of the most dangerous species of mold. One of the things that makes it dangerous is the fact that occurs in all parts of the world and it spreads very fast. It is important to consult and have your house inspected for Geotrichum mold in your house every now and then. How to remove Geotrichum mold once for all? Due to the seriousness of this mold, it is important to hire the services of mold removal companies. This is because they will be thorough to ensure that all the mold is removed so that it does not continue to be a hazard. One of the best mold removal company is Mold Busters. In addition to inspecting your home for mold infestation, we will also provide you with mold removal services. Contact Mold Busters to book an appointment with one of our mold testing and mold remediation experts.